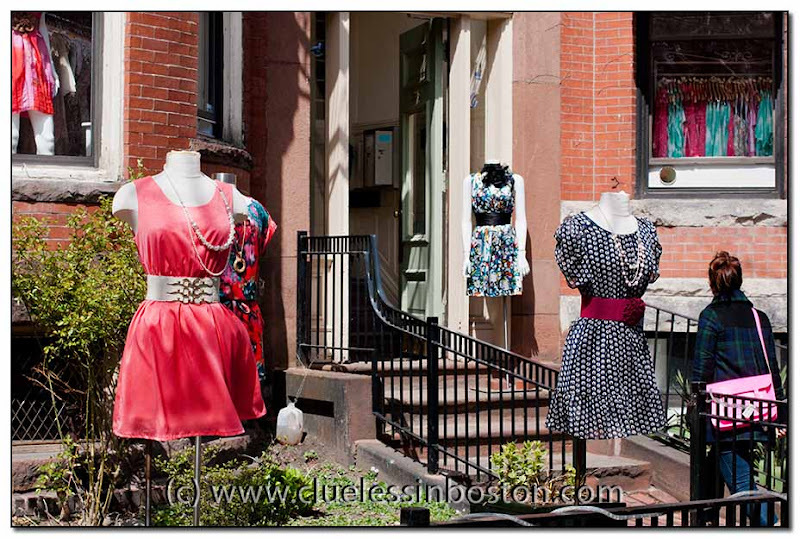 Dress shop doorway on Newbury Street. Very grand too; one can hope it doesn't rain. I don't know the english name, sorry, but the "dolls" seem to show the way to the door! Always love a trip through the shop on Newbury Street. That would be me heading in, how could you not with all those little 'teasers' out front!